We have discussed the damage that wet rot can do to a fence, but that is not the only rot to attack a wooden fence. There is also dry rot. The loss of protective oils over the wood surface cause the wood to dry out and become flaky and brittle, which causes your fence to fall apart. 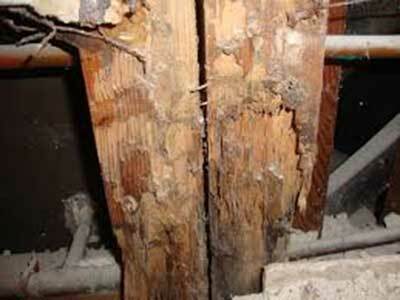 This is called dry rot. Your fence is exposed to sun and wind and all types of weather conditions, though exposure to especially sun is more of a problem, as all the oils on the wood get dried out and cause dry rot to take over. To protect your fence, you need to stain it at least once a year, to replace protective oils, and prevent the fence from drying out. By regularly cleaning your fence you are helping to prevent rot from attacking, thus adding years to the life of the fence. Although it is not the most pleasant job, it does help in preventing rot. Investing time on your fence will help to lengthen the lifespan. A high-pressure washer set on a low setting can successfully be used to wash away dirt, grime, leaves etc., This must be done regularly to protect the fence from rot. If a fence is badly affected by dry rot, patches will start flaking and falling off. 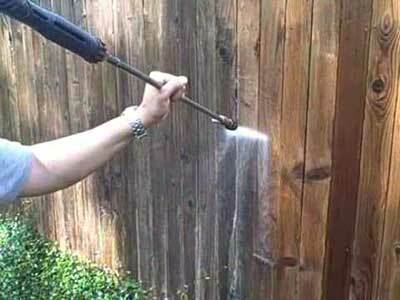 Before you can stain the fence, it has to be totally dry, and, if necessary, the sections badly affected by the rot must be removed and replaced. Although a wooden fence is less expensive than a concrete one, in the long run, a good quality concrete prefab fence is a far better option, not only for security, but because it adds value to your property. If your fence is badly damaged by rot, there is no other option than to replace it, and a good option would be to invest in a precast concrete fence, or wall. If you would like more information about good, quality concrete fencing, please feel free to contact us at Country Wide Walling, to discuss your options with one of our highly trained consultants, or to request a free quotation.